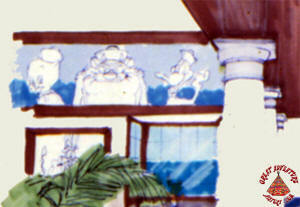 With the acquisition of Six Flags Theme Parks by Time Warner in 1992, a great effort was made to bring the "theme" back to the amusement park chain. In some cases, as the parks had grown, little or no effort was put into creating themed areas other than to impy the theme was "fun." Therefore, one of the challenges was to bring a cohesive look and feeling to the many unthemed sections of the parks that had become a loosely related hodgepodge of random buildings and attractions. One of the most challenging areas to bring a theme to at Six Flags Great Adventure was the area along the Great Lake simply because it lacked major rides and roller coasters. 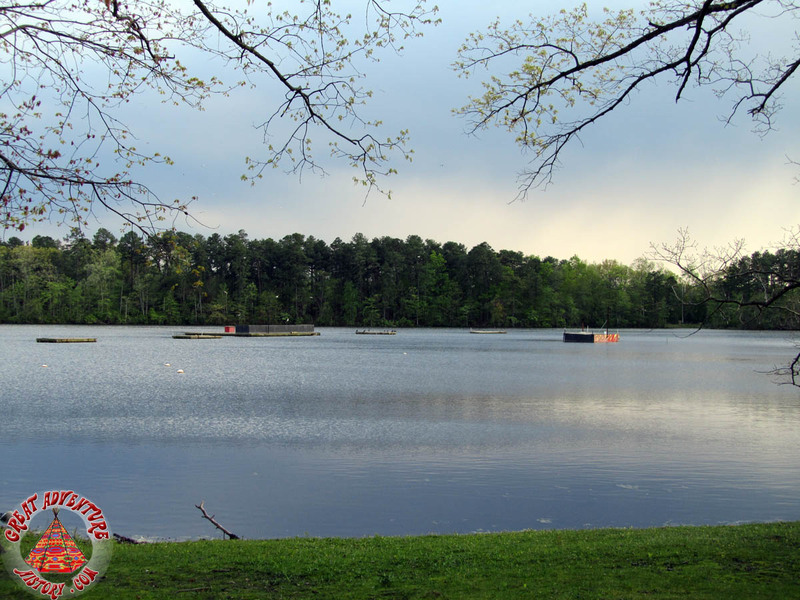 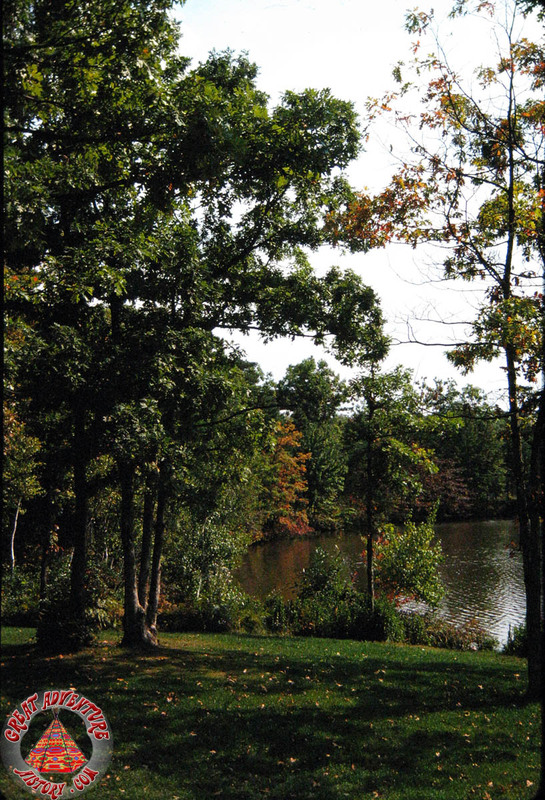 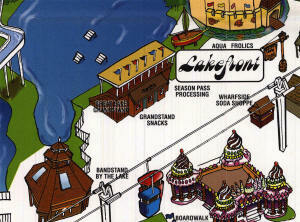 However, it was home to three of the park's major showplaces as well as the scenic lake itself. 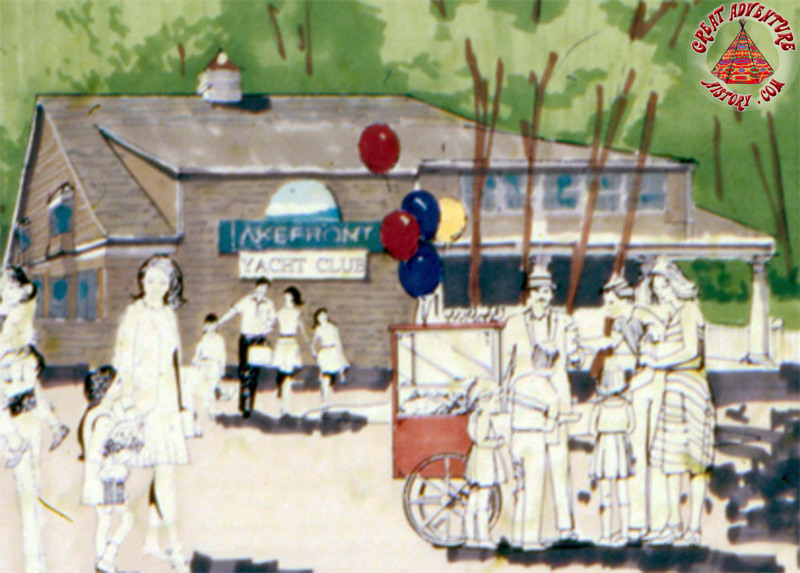 For 1993, the Lakefront was created with a unifying nautical theme to fit the water's edge. 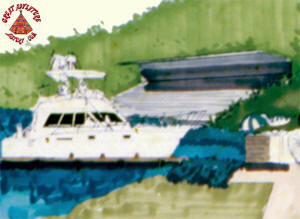 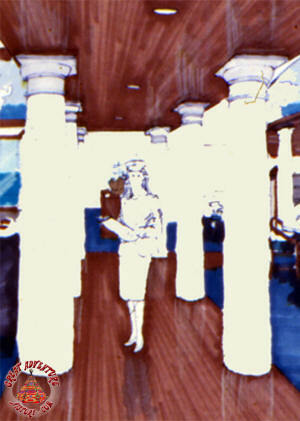 The jewel of the new Lakefront was going to be a new restaurant which was never built called the Lakefront Yacht Club. 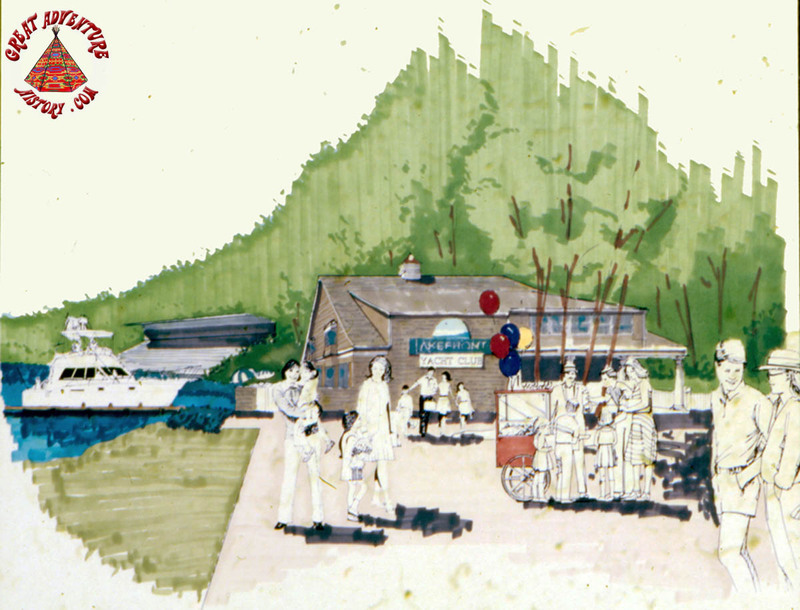 Situated on the banks of the lake between the Great Lake Grandstand and the Bandstand on the Lake, the restaurant would have been an upscale seafood establishment offering panoramic views of the park's scenic lakeside area. Large pleasure boats docked nearby were even pictured in the new facility's renderings hinting that cruises on the lake may have even been a consdieration, most likely for special occasions and chartered parties. 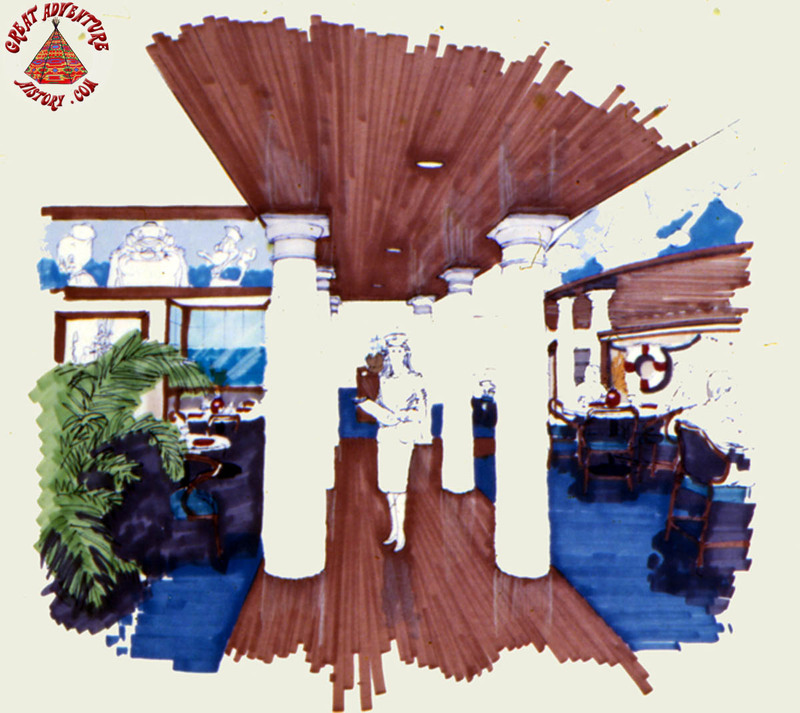 The restaurant would have been destined to be the fanciest in the park with sit-down dining and possibly a bar/lounge area, all overlooking the Great Lake. 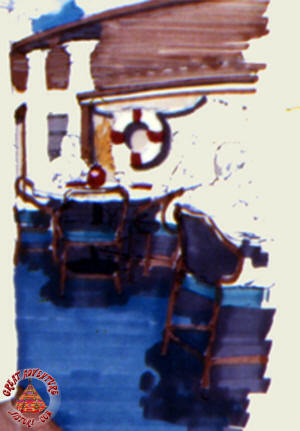 The interior was going to have an upscale nautical theme with stained wood reminiscent of classic wooden yacht decking. 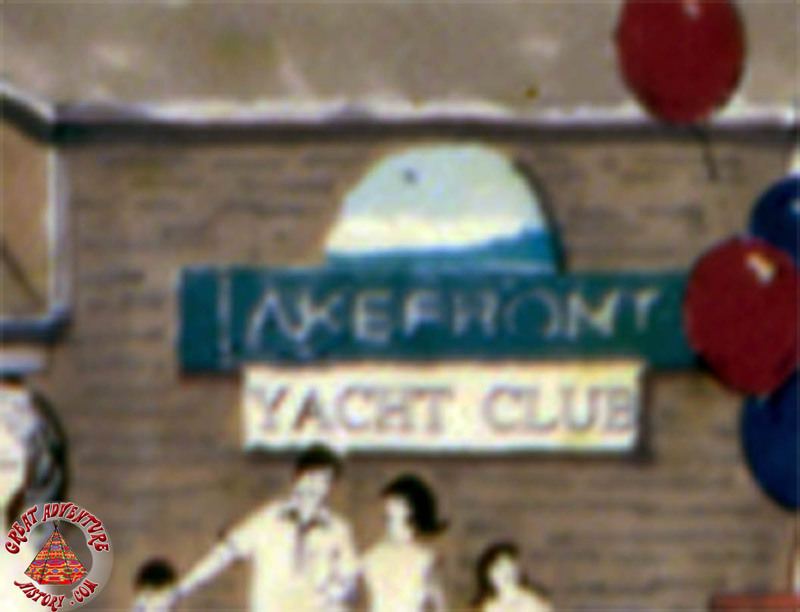 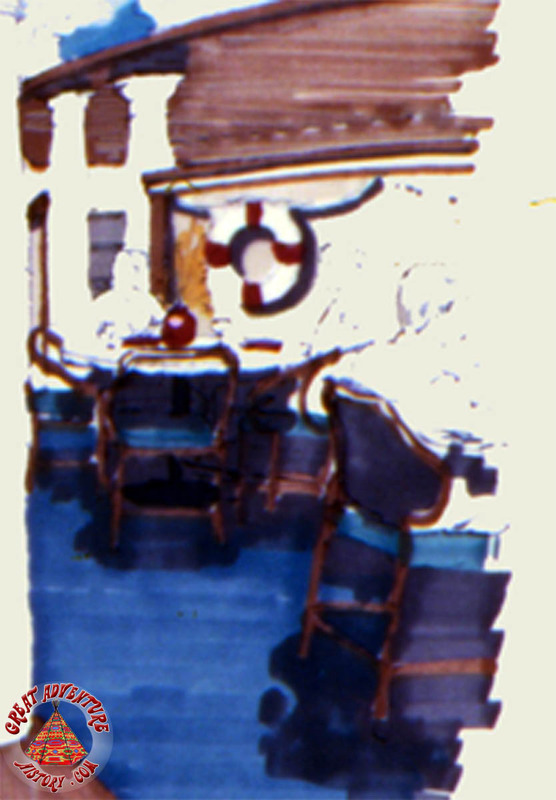 It appears that the Lakefront Yacht Club would have been the park's first real attempt at creating a fine dining experience at Six Flags Great Adventure and a real chance for its guests to get away from the hustle and bustle of the surrounding park in a quiet refined waterside escape.